At the core of the concert is the idea of 'night music' bringing to mind nocturnal enchantments, romantic stirrings and wondorous landscapes. 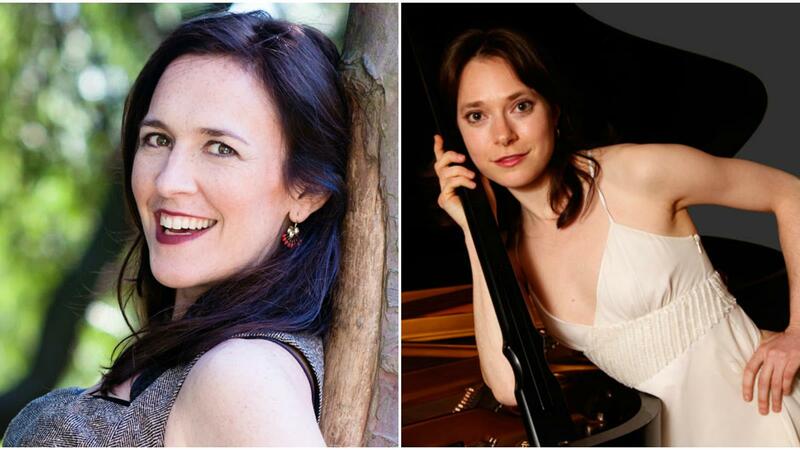 We are happy to welcome soprano Laura Bohn, soloist with the LA Philharmonic, international touring artist with over 40 shows in Europe and pianist Melody Fader, a Centaur Records artist concertizing in over 10 countries including Belgium, and France. We will enjoy Casta Diva from Bellini Norma, Musetta's Waltz from Puccini La Boheme, and two Barber selections, Knoxville: Summer of 1915 and Sure on this Shining Night. The concert includes two Chopin pieces exploring the idea of 'bel canto' for the piano: Ballade no. 2 and Nocturne op. 27 no. 2. Acclaimed Seattle painter Michael Ferguson is the featured artist throughout the month of May. This exhibit showcases his unique view of ordinary life ranging from light-hearted to serious and is executed with a bright, colorful, textural palette. Reception with wine and appetizers follows!